While I struggled to find something new to try for my Day 6 adventure, my Day 7 adventure was a snap. Literally. I grabbed my phone and walked around the house. *snap* *snap* *snap* *snap* Done. When you consider my morning routine consists of me, coffee and something to read, these photos really shouldn't surprise you. I have stacks of books like this all over the house. The stack of books at one end of my sofa-adjacent coffee table. 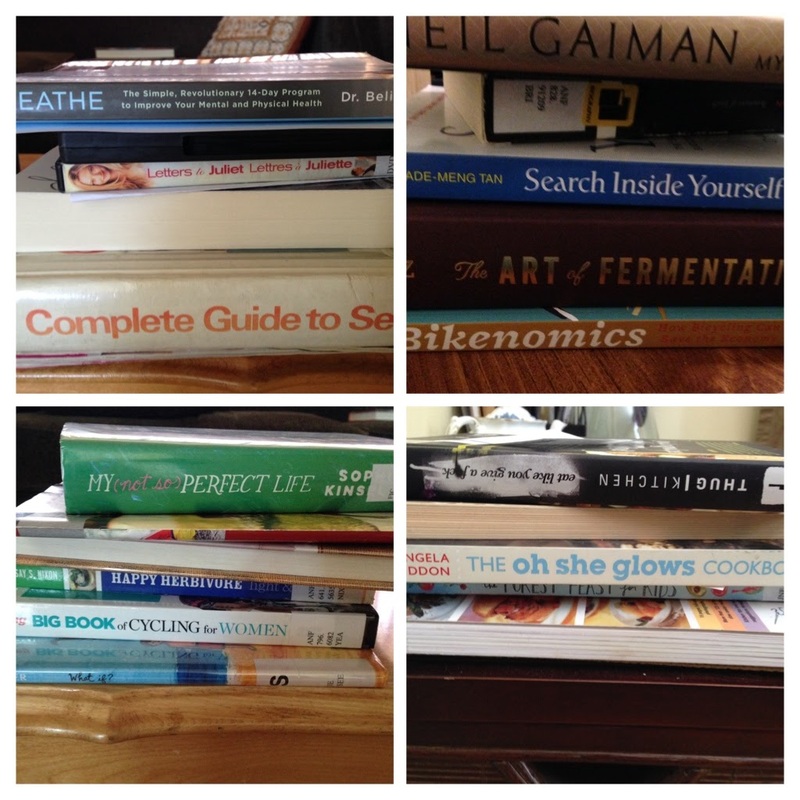 The stack of cookbooks on a chest just outside my kitchen. The stack of books at the other end of my coffee table, just in case I decide to move to the other end of the sofa to read. And this doesn't include the books on shelves and in boxes throughout the house. Yep, when the adventure is "good reads", I'm one adventurous woman!